Yesterday afternoon, Christina and Isabeau (Gary Jr.’s fiancé – oh did I let that slip?) visited and we went for a short trip to the local supermarket. On the way, we came across a pedestrian. 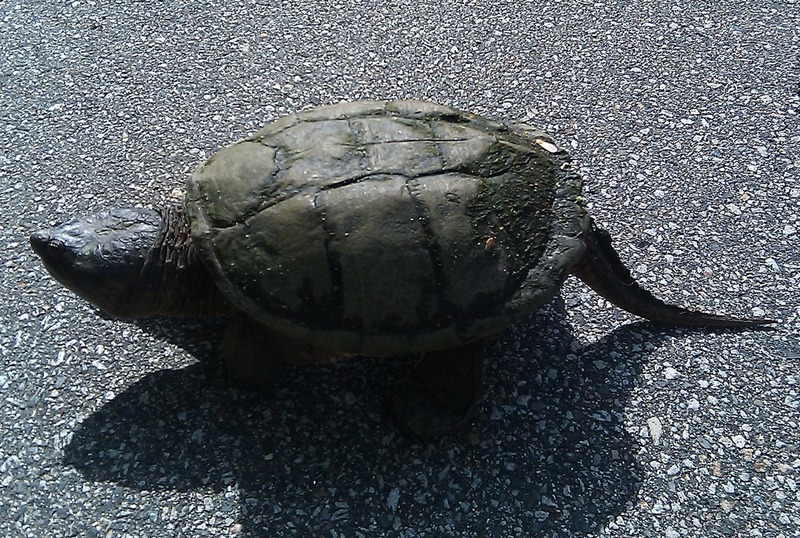 The turtle was very slowly attempting to cross the road. We stopped in front of it, I got out and held up traffic until it was done with it’s long journey. Everyone waited patiently except one impatient SUV driving (word) neighbor (who I shall note to all the rest of our neighbors), but I stood my ground and the turtle made it! This entry was posted in Nature and tagged Crosswalks, Turtle by Gary. Bookmark the permalink.